Hey everyone. First of all this blog has had a bit of a surge in new followers (on Blogspot, and I know there's a lot of you following via RSS Feed and Google Reader - don't worry I know you're there!) because my favourite YouTuber and homegirl (we're both from South Shields) Lauren Luke aka Panacea81 retweeted this address. So if you're one of the newbies via Lauren, HELLO! It's lovely to have you here. NECKLACE: New Look, £Present from my friend Claire. POINT OF FASHION: Dark colours. "If you know the next time so with the ancient cry for help "I have nothing to do !!!!" for the state cabinet (???) check out http://messycarla.blogspot.com/, for MessyCarla: A Fashion Blog In A Size 16" makes me sound rather God-like. Which I'm not. I'm a bit of a weird Geordie girl who spends her evenings eating cereal and watching The Office. Anyway, you can read the original article here, or the translated version here. Tuesday's a bit of a big day for Geordie fashionistas, as the new part of Eldon Square mall is opening - with brand new Flagship-sized Topshop, Topman, Dorothy Perkins, River Island, New Look, Apple stores and more. Topshop's event looks brilliant - they're doing promotions, competitions and even giving out free frappes and cookies from the new cafe Chalk & Paper. Just my luck I have class during this time (where there's a severe lack of girls due to film dissertations, so I have to especially go and represent the sisterhood), but good thing is my sister (who is WAAAAAY more fashionable than me - believe me!) and her friends are going. So I've asked her to take plenty of pictures for you guys. I bet she won't remember, cause she's a bit useless! Heh. It looks like it's going to be great! The Dorothy Perkins and River Island in Newcastle are pretty small, so good news especially for those! I can feel myself getting a cold, but I'm NOT letting it stop me from doing the nice things I have planned this week. So I'm overloading myself with tea and paracetamol today. Hoorah! Again, I'm so happy to have newbies here - I love to hear from all of you by comment, email, Twitter or Formspring.ME. I love questions, comments or if you'd even like me to review your product! Get in touch, I'm nice, I promise! Mine's one of my cherished buys! 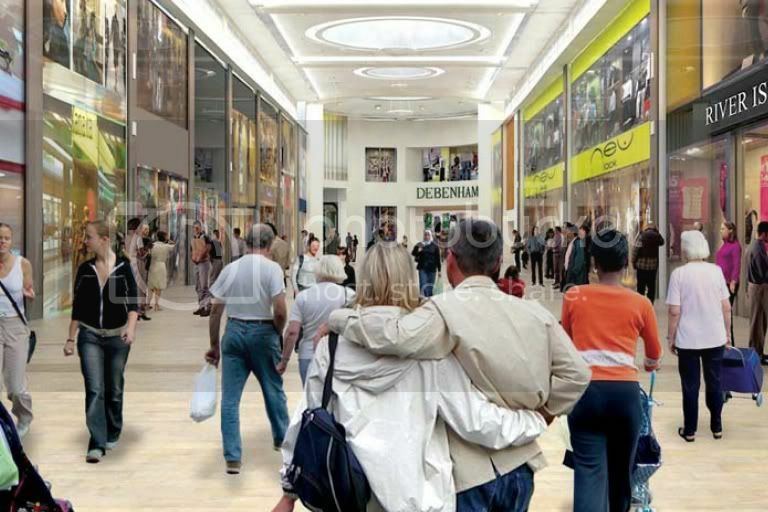 Cant WAIT to come home and see the new Eldon Square! Maybe I can mention you on my blog, soon. have I mentioned that my granddad is Dutch? I was in Topshop today and a girl working there told me that the new store is going to be the second biggest in the country after Oxford Circus, and that it has the same layout as the New York store. I'm very excited! Megan: Teehee, it's a start! :DD ooh it's my fave belt it always makes my waist look tiny! Ooh if you like we could go when you're home and have a bit of a shop as I won't be going before then? :DD Then find the new cafe that's opening there Chalk & Paper, it sounds cute! Daniel: Oh the woman showed me how to apply makeup properly, she's actually brilliant! Michael: Thanks and congratulations to you too! <333 No, you didn't that's brilliant - I love The Netherlands. So exciting about the Dutch article! Why is it opening on Tuesday when I have children to look after!? I may pop up on Wednesday if I don't have anything else to do. Stephanie: Thanks, I know right? I'm such a hack compared to so many fashion bloggers, too. I think I'm going on Sunday when my friend Megan is home. Thank you so much for the comment on my article about your blog. You made my day, also with the mention of our fashion website FashionNewz.nl on your blog. 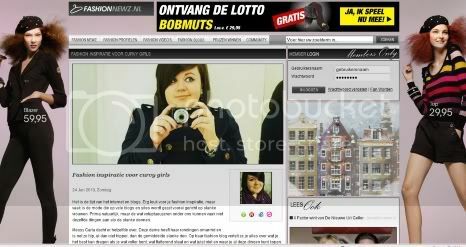 I really liked your blog, so I decided to give you some credit in Holland and write an article about your blog. I saw you tried to translate the article, but Google didn't do a very good job. Therefore, I translated it myself, so you could literally read what I wrote. Keep up the good work with the blog! It is the era of internet and blogs. Very good voor fashion inspiration, but mostly the fashion on these blogs and sites is meant for very skinny women. Which is fine ofcourse, but the more voluptueus ones among us often can not wear the exact same clothes as the skinny ones. Messy Carla seemed to think the same way. This lady has embraced her curves and is just as hip, if not even more hip, then the average skinny girl. On her fashion blog she tells you everything from what's best to wear if you're a bit curvier, what is flattering to curvy girls and what's not and of course where to buy all this stuff. So the next time you're standing in front of your wardrobe with the ancient cry for help "I have nothing to wear!!!! 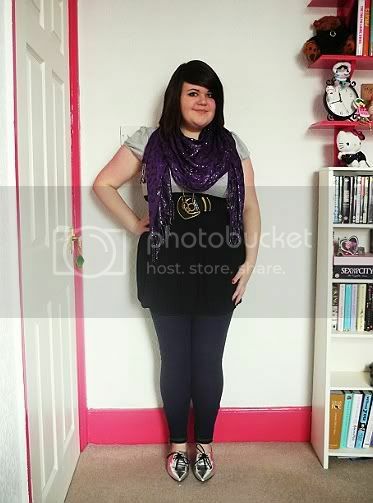 ", check http://messycarla.blogspot.com, forMessyCarla: A Fashion Blog In A Size 16. Alena - No problem at all, thank you so much! I love the website, it's brilliant. And it's articles promoting things like plus-sized fashion makes it rather innovative. Anything that promotes the community we have in the blogging world is just wonderful. And thank you for the translation! :) I absolutely love The Netherlands, I do miss it there!